We would like to introduce you to Peishu Nien, founder of Moksa, a new natural, eco-friendly, and sustainable slow-beauty salon in Central. MOKSA is located in the heart of Central. 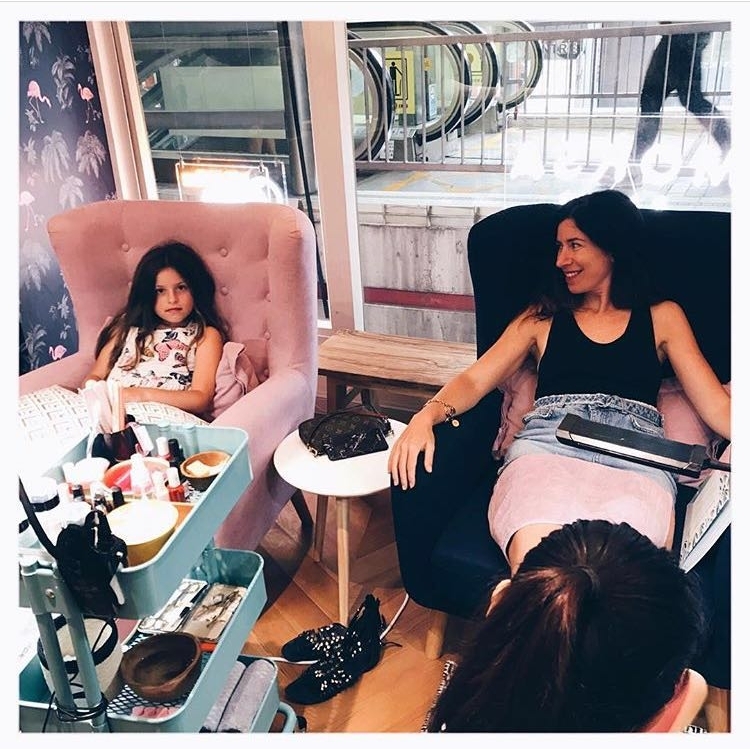 It is a brand-new, upscale slow beauty concept store that include natural nail bar, detox juice bar, natural beauty bar and fashion accessories, beauty care retailing. It focuses on natural, ethical and sustainable philosophy & products. Hello Peishu, what inspired you to start Moksa? Hong Kong can be quite overwhelming - a city where you are always on the go and can so easily get sucked into the daily hustle and bustle. I thought of places I traveled to which provided me with a sense of peace and wholesomeness (namely, Bali) and wanted to recreate such an environment here in Hong Kong, a kind of safe haven for those in need to escape from the 'aggressive' everyday noise and indulge in some well-deserving pampering using eco-friendly products, all within a beautiful and relaxing setting. The most challenging part of my journey would be the project planning and construction as it involves a myriad of other parties and it is no easy task to ensure that my vision is met with the same standards and requirements expected. I'd say the biggest lesson I have learned from running a business is that you can never be fully prepared for what is to come, no matter how organised, rigorous you are. It is not enough to anticipate potential obstacles but also to know how to act fast when you are facing one. It's the level of professionalism offered and quality of service instantly build credibility and trust with customers and stakeholders. That little extra care or attention goes a long way, believe me! Growing a team can be one of the most challenging times. I'd say make sure that the staff employed are professional with a team spirit mindset, and that they are clear on the company mission, culture and values. This is key as they are offering a service and need to be on point! I can say yet for the company success as it is too early stages right now, but, with regards to personal success, I'd say how I've brought to completion every idea or project I've set my mind on. So I'd describe myself as a doer/fighter, passionate and optimistic. 1. You better believe in your idea 150%, keep your head down and stay passionate, motivated and determined. Friends and family will try and be your biggest supporters but often they let fear and concern guide them into being discouraging and rather negative about the principle of entrepreneurship. Believe and execute. 2. Market demand. Make sure you've done your due diligence here. 3. Make sure your idea does not follow a fad but a real movement, trend that will last. And of course, have a contingency plan on hand.